RST Brands created the Cannes outdoor sofa and new deluxe faux wood coffee table for comfort for you and your guests. All RST Brands outdoor products are designed to last for years without sacrificing a moment's worth of tranquility. 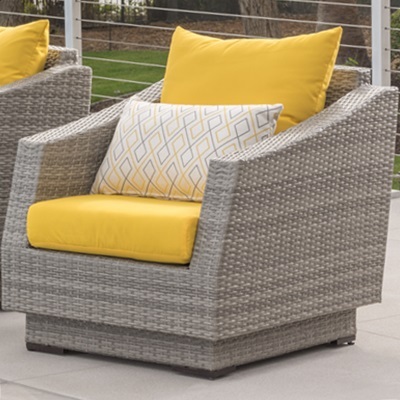 Use this to add to an existing outdoor seating set, or as a stand alone piece for smaller spaces. 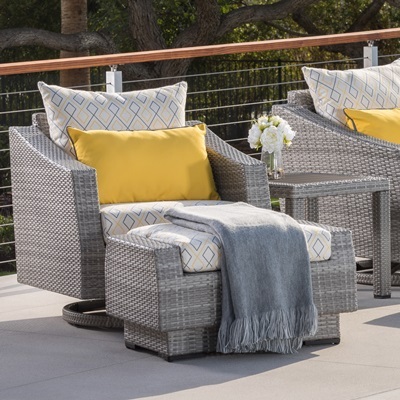 Beautiful grey Solarfast® resin wicker is the cornerstone of the Cannes Collection, giving your outdoor living space style and class and a source of pride for years to come.